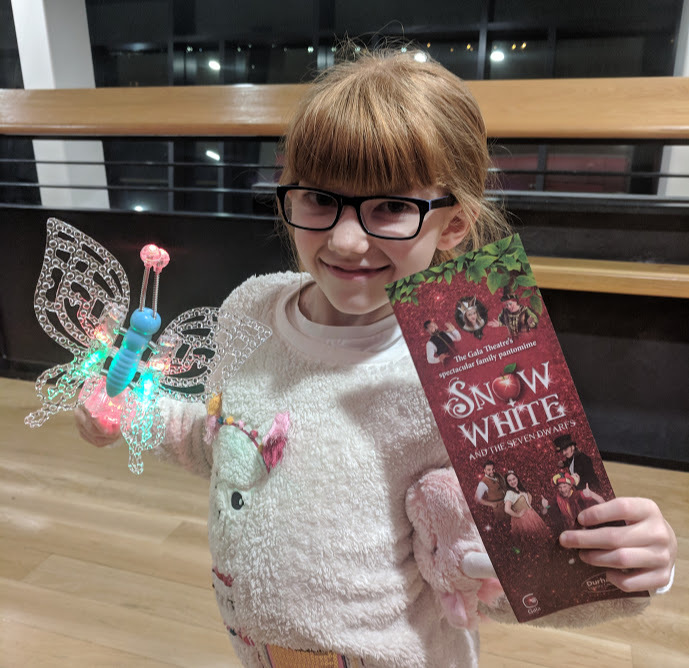 Disclosure: We were kindly invited along to panto press night and provided with complimentary tickets. 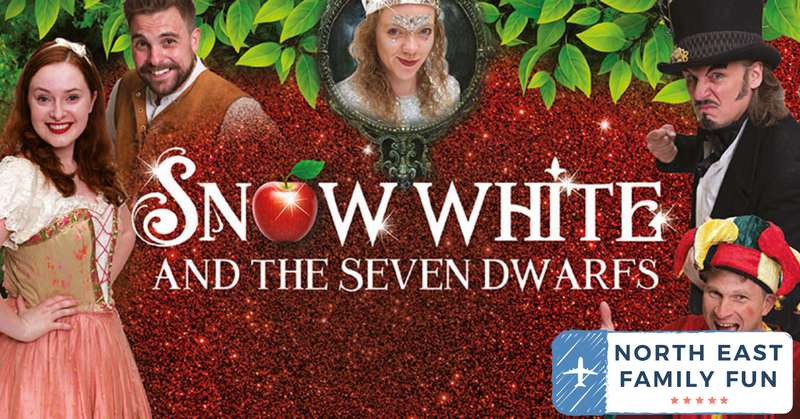 This year's Christmas Panto is Snow White & The Seven Dwarfs and runs from 22 November - 5 January. Tickets are available from £6 - £17 (£50 - £58 for a family ticket) which I would say is a mid-range price to pay for a panto. Written and directed by Gala favourites Neil Armstrong and Paul Hartley, the show is loosely based around the classic tale of Snow White. I'm not overly familiar with Durham and when we do visit, we usually use the park and ride but this closes at 7pm so isn't recommended for evening performances. Alternatively, we've often caught the train into Durham and the station isn't too far to walk from the theatre. I asked my friend and local Durham-girl Katie Jane for city centre parking recommendations and Katie recommended Walkergate Car Park which is right by the theatre. There are 500 spaces here and parking is £3 for 2-4 hours. We actually ended up parking in Sands car park which is adjacent to Walkergate but as we were driving past we could see there were plenty of spaces so decided not to risk elsewhere. This car park is charged at £1.80 for the first 2 hours then 80p per hour after that. I can't believe how easy and cheap it is to park in Durham City Centre compared with Newcastle! If you're heading to a matinee performance, there's a cafe inside of the theatre serving light bites, snacks and sandwiches from 10am-3pm Monday-Friday and 10am-5pm Saturday. I am pleased to see that the cafe is part of the National Refill Scheme and will refill your water bottle free of charge during cafe opening hours. In the Walkergate complex (which is right next to the Gala Theatre), you'll find lots of family-friendly restaurants such as Chiquito, Nandos and ASK. 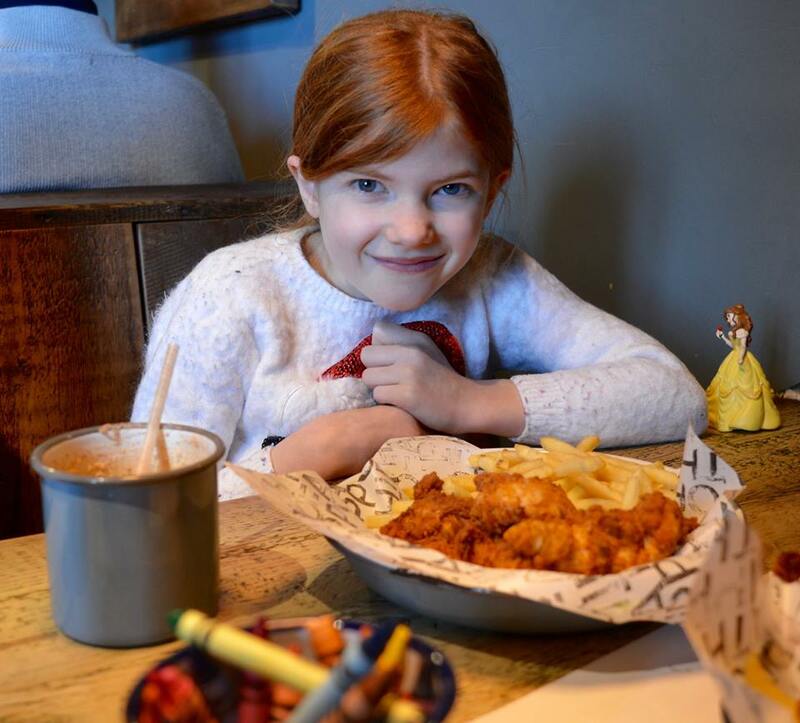 Personally, I'd prefer to walk the 5 minutes into town and check out Fat Hippo Durham or Zapatistas - both North East chains who serve fab kids meals and are super tasty. 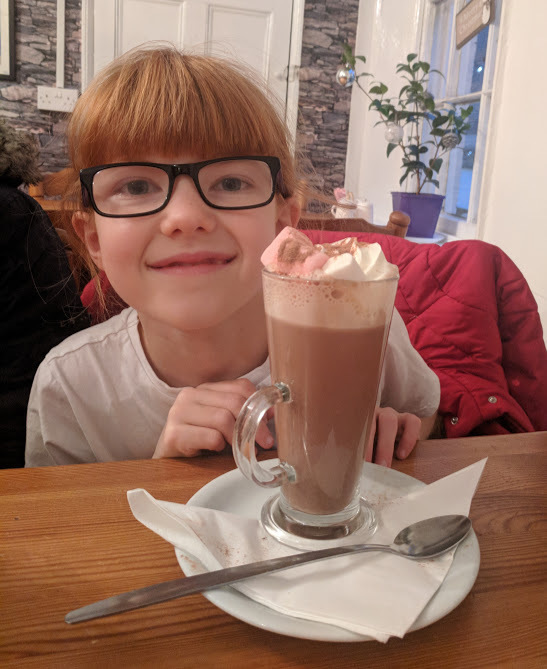 It's an easy two-minute walk into town from the Gala Theatre and it's worth it to have a quick look at the Christmas lights before the show and maybe pop into a coffee shop for a hot chocolate if you have time. We stopped by Treats which was really lovely. 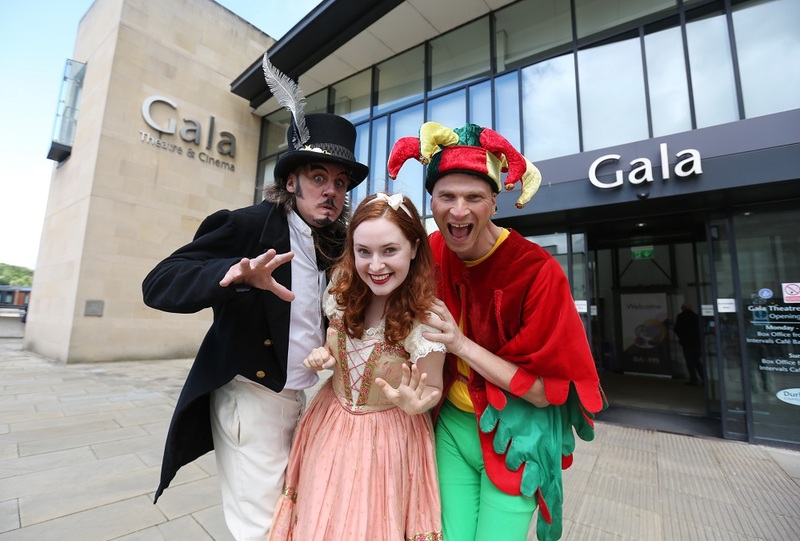 This was my first ever visit to the Gala Theatre. I've discounted visiting in the past as it's around a 45 minute drive for us but my friend Kim has always visited on our behalf in the past and always speaks very highly of the panto here so I decided to go and see what all of the fuss was about myself. The performance was sold out and I could tell from the conversations around me that there were a lot of regulars there which is always a good sign. 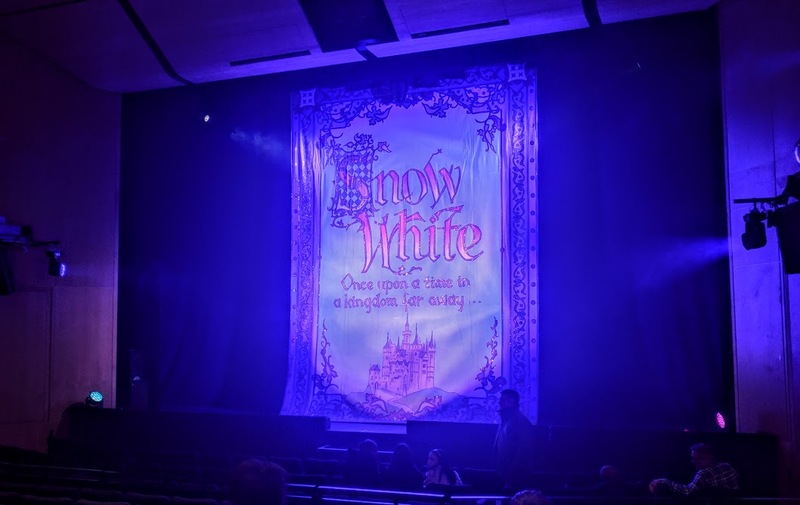 The tale loosely followed the traditional story of Snow White and with lots of giggles for the kids (and the grown ups too), a sprinkle of slapstick, a cracking house band and lots of singing and dancing, this year's show had everything you want from a good family panto. The innuendo and ruder jokes were few and far between (but there were still plenty of laughs) and I would definitely say the Gala panto is one which is definitely suited for the whole family and won't upset anyone. What really impressed me the most with this panto is the casting - normally I have a favourite cast member but I couldn't pick here - everyone was absolutely perfect for their role. Neil Armstrong was a natural panto villain we all loved to hate and had us booing and hissing on one hand and crying with laughter at his OTT behaviour on the other. Paul Hartley is a panto veteran and has appeared in every single Gala Theatre panto. He's an absolute natural with the crowd and definitely had the kids on side as Chester the Jester. I couldn't catch my breath for laughing during a certain whistling scene. Everything seemed nice and relaxed and not too forced which is what I like from a panto. The audience interaction was really funny too. The panto dame, Snow White and Miranda the Mirror were again, all perfect and delivered stellar performances and there has to be a special shout-out for Pip Chamberlin as Corporal Crosby who was hilarious and a favourite with the grown-ups in the audience. I can't forget the dwarfs too who were super cute (special shout out to Keith Simpson whose comedy timing was impeccable). The mix of songs was pretty good I thought (although they maybe could have done with a few more modern numbers) with something to please everyone with hits from The Jackson Five, The Greatest Showman and even a sneaky inclusion of Baby Shark. There were lots of local and relevant mentions with plenty of random fun including a Dominoes Pizza, Morrisons Meat Counter and TK Maxx all getting a mention. This panto ticked every box for us - plenty of 'he's behind yous', water guns, audience interaction, boos, cheers, singing, dancing and laughs. We had a ball and really had such a good night. The evening was filled with good old-fashioned fun and it was all super relaxed - you'd never be able to tell this was only their first or second full performance but I guess that's what happens when you're watching such an experienced cast. 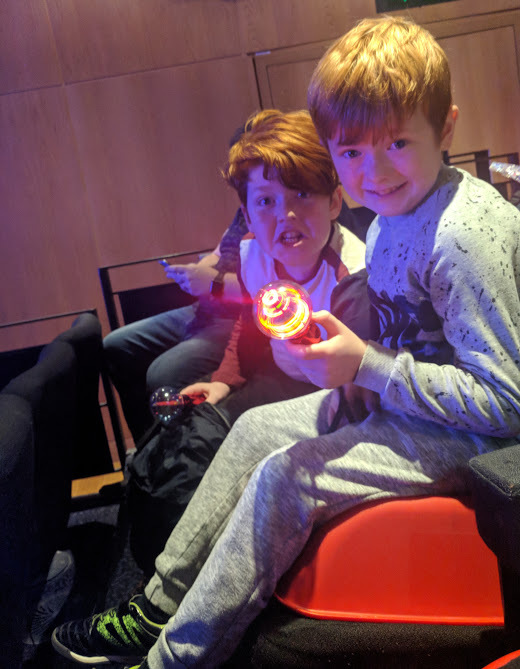 This was our first trip to the Gala Theatre and I was impressed with how comfortable and spacious the seats were and there were plenty of booster seats for kids to use too (just pick one up as you enter the theatre). You can take your drinks into the theatre with the plastic glasses provided and there are plenty of sweets and snacks for sale in the foyer too. You can also buy flashy toys for £3-£5 which won't break the bank. Snow White is the first panto we've watched this year and if they're all as good as this, we're in for a good month. There are still tickets available for selected performances and I'd recommend this show to families with a mix of ages as it's one which is suitable for all ages from little ones right up to grandparents. Find out more and book online here.